It can be a single product or a comprehensive solution featuring many products. 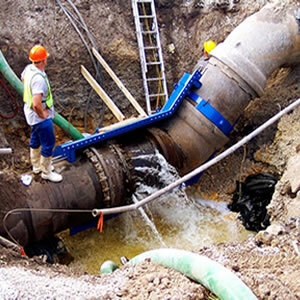 In some cases, Smith-Blair professionals work with utilities to develop complex repair solutions for piping systems that are suffering the effects of an aging infrastructure or antiquated designs. Other times, we assist engineers with custom designed answers for unique situations never before encountered, or resolutions to simplify the typical problems encountered with initial piping designs. In either case, our professional staff works with you to define the exact problem you are trying to solve. For Smith-Blair, engineered fabrications are both challenging and highly rewarding because they allow us to solve difficult, frequently time-critical problems, while collaborating with our customers. And of course, utilizing one of Smith-Blair's best corporate assets - deep industry experience. 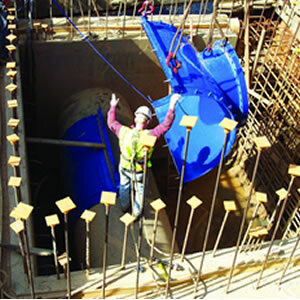 Engineered fabrication jobs typically begin with a meeting with our engineered fabrication field staff to establish the technical details of the job, timing, materials and other related details. These are highly experienced Smith-Blair specialists who know applications and are trained to work quickly and thoroughly to solve customer problems. Our field staff then collaborates with a team of Smith-Blair engineers and manufacturing experts to finalize a design and fabrication game plan. And work begins. Shipping logistics are worked out with customers and as soon as the product is fabricated and meets Smith-Blair's extensive quality control steps, it is readied for immediate shipment. 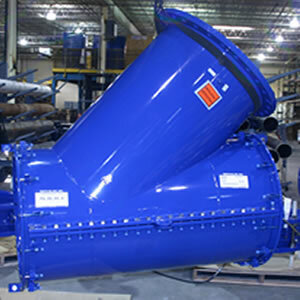 All engineered fabrications are planned, designed, fabricated and shipped from our Texarkana, Arkansas plant. They offer an almost unlimited scope of freedom -- while accommodating your most exacting specifications.Information is available regarding our Dismantling Fittings, Flange Coupling Adapters, Line Stop Fittings, Bell Pack Fittings, and other products. Give our engineered fabrications specialists a try on your next tough job.